I have had four antique oak chairs with vinyl seats around my antique round pedestal table for many years. On two of them, I painted only the vinyl seats with Annie Sloan Chalk Paint in Old White, and waxed them with clear wax. 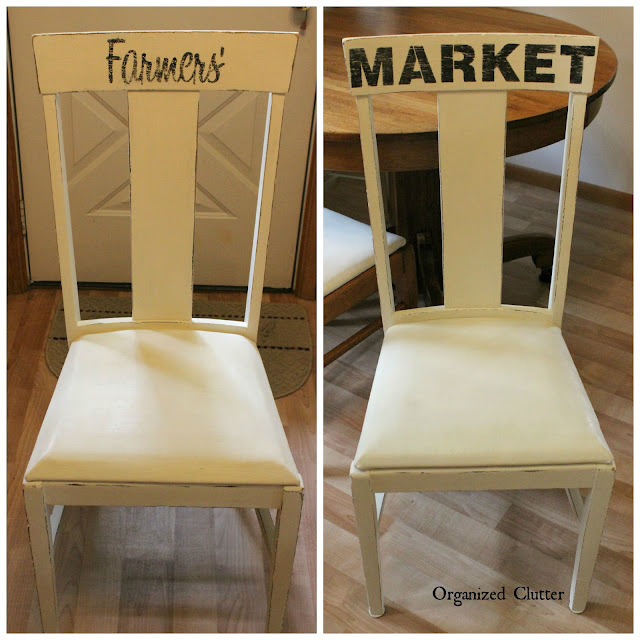 The two chairs that had been previously painted black were given a couple coats of Annie Sloan Chalk Paint in Old White on the wood and vinyl seats. I then stenciled the chair backs with Funky Junk Interiors Old Sign Stencils. 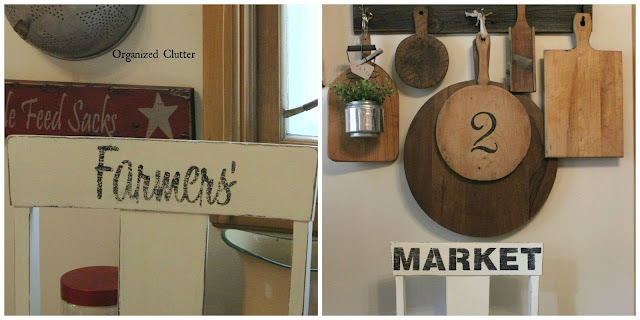 Much brighter and more farmhouse style! Very cute, I love the stencils on the back, it takes them from just an ordinary chair to so cute!! Looking good Carlene ... love the stencils. The stencils are a perfect touch on these gorgeous farmhouse chairs - beautiful transformation Carlene !